ST. LOUIS, July 11, 2018 /PRNewswire/ -- Benson Hill Biosystems, a crop improvement company unlocking the natural genetic potential of plants, today announced formation of Saturn Agrosciences, a new subsidiary focused on canola improvement. Saturn will build on progress initiated last year through a partnership between Benson Hill and the University of Guelph, with funding from the Canadian Government's Genome Applications Partnership Program (GAPP) to develop more sustainable and healthier varieties of canola. Canola is a crop with exceptional health benefits that has not received sufficient focus to tap its full genetic potential. According to the 2018 International Food Information Council annual survey, heart health was the primary nutrition and diet goal cited by consumers. 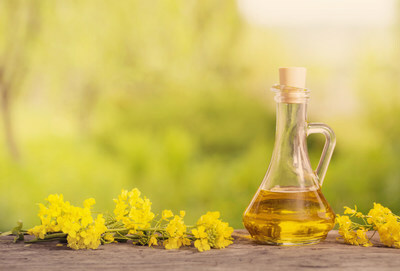 "Canola oil has one of the most heart-healthy fatty acid profiles of all oils," said Dr. Christine Rosenbloom, RDN, and co-author of Food and Fitness After 50. "As consumers seek more healthy food choices, canola oil offers an ideal option for food manufacturers and service providers looking to lower trans-fats in their offerings." Benson Hill is committed to empowering innovators across the agri-food value chain to benefit both farmers and consumers. Its CropOS™ cognitive computational platform and suite of genomics tools enable innovators to identify and optimize genes of interest to develop better crops and food ingredients. Saturn is currently advancing Benson Hill's portfolio of photosynthesis enhancing traits and will work with partners interested in canola oil and protein to develop traits for yield, sustainability, healthier oil composition, and higher protein content. "Saturn Agrosciences is an example of our commitment to empower innovation with both the genomic expertise and the R&D models our partners need," said Matthew Crisp, CEO of Benson Hill Biosystems. "Whether it's a seed company interested in accessing the most advanced genomics tools for their R&D program, or a food company with no genomic R&D capacity interested in sourcing better ingredients, we provide the technology, the partnership model, and the infrastructure necessary to deliver." Benson Hill empowers innovators with a revolutionary crop design platform to develop healthier and more sustainable crops. Our CropOS™ platform combines machine learning and big data with genome editing and plant biology to drastically accelerate and simplify the product development process. More information can be found online at www.bensonhillbio.com. Follow us on Twitter at @BensonHillBio.